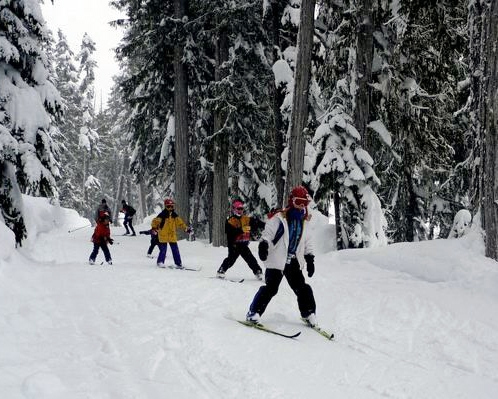 Elementary students from across Vancouver Island enjoy participating in the CIBC Wood Gundy School Cross Country Ski Program every winter! 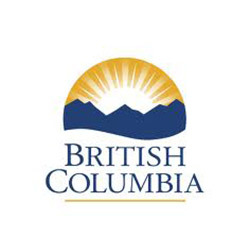 The program is made possible through the support CIBC Wood Gundy, Rick Morson and his work with the CIBC Children’s Foundation, the Vancouver Island Society for Adaptive Snowsports (VISAS), and Mount Washington Alpine Resort. This is an opportunity for students to learn outside the classroom, to develop new physical and cognitive skills, and experience a sub-alpine winter environment with their peers. The program consists of three 2-hour sessions. Lessons are taught by certified instructors. Students are taught safety and the basics of XC skiing in a fun atmosphere. Classic skiing and skate skiing techniques are learned. Parents and teachers are encouraged to participate in the program. Schools have the responsibility of assigning adult chaperones. How to prepare for the ski days? We provide in-school orientations for local schools and comprehensive packages for schools outside the local area. The aim is to help students be better prepared and perhaps more excited to ski outside of our program on their own time. There is some money for financially disadvantaged students or schools. Please indicate your reasons for needing this assistance, and to what degree assistance is required when filling in the form below. Note: Subsidies are generally granted on a first come first serve basis until the budget is exhausted so please request assistance early. Is there an adaptive program for students with disabilities? VISAS (Vancouver Island Society for Adaptive Snowsports) are heavily involved with this program and we strongly encourage students of all abilities to participate. See below for an information letter from VISAS as well as a form to register a student for the school program. Please note that aides ski for free as part of the program and are of great assistance to the VISAS instructor. The fee for the program for 3 sessions is $50 per student. This includes instruction, a trail pass and equipment rental from Mt Washington. The fee does NOT include transportation. Students who have a Mt Washington Season Pass AND their own equipment are charged a fee of $30 for 3 sessions. Please note, students MUST have both a pass and their own equipment to qualify for this discounted rate. Please use the form below. Please fill in all the relevant sections and scroll to the bottom of the form to find the SUBMIT button. The program runs on Tuesdays, Wednesdays and Thursdays. There are two sessions each day, mornings (9:30-11:30am) and afternoons (12:15-2:15pm). Dates and times: First choose your preferred session dates. Then choose a day – Tuesday, Wednesday or Thursday. Then choose a time – morning (9:30-11:30) or afternoon (12:15-2:15). NOTE: The exception to the format is school district days off or bad road conditions in which case every effort is made to make up the class on an available day. The On-Snow Coordinator will contact the school in situations where weather and/or road conditions are questionable. Booking transportation is the responsibility of the school. Here is a list of resources for Teachers. Click on an item to view the PDF.